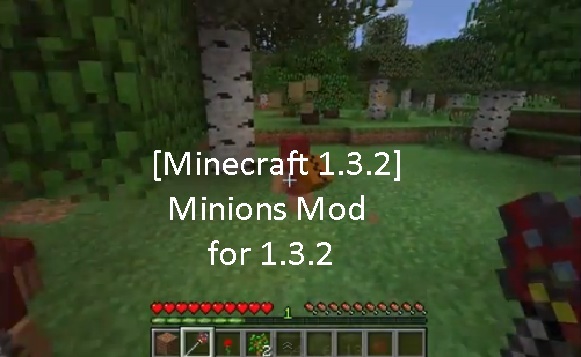 Minions Mod for Minecraft 1.3.2 is custom mod which produces minions which helps you during the game. Strip mining is a process of digging by 2 by one shaft. Minions are the sub-units which helps you to detect mines and more harmful things in Minecraft. The interesting thing about these minions that if you slap them they will work fast just like old days slaves. You can select each of the minion and order them different works whatever you want. We hope that this tool might help you finding some harmful things in Minecraft and increase the fun in the gameplay. So have fun playing Minecraft and keep visiting here to check the latest updates.